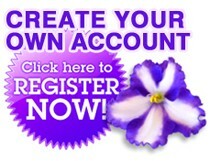 You are no longer alone when it comes to growing beautiful African Violets. Let MyViolet.com guide you with informative and interactive tools. Dr. Optimara Ever wonder why your African Violet's leaves are wilting, buds won't flower? 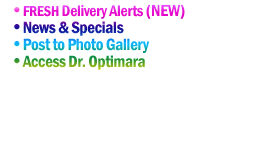 Dr. Optimara is a user-friendly diagnostic tool that takes the guesswork out of growing beautiful African Violets. Variety ID Resources A full listing of all the Optimara varieties recently in production, photos of all recent series and older classic varieties dating back to the early 1980s. Free Guide To African Violets Photo guide to flower, leaf & plant types, plus care tips and violet history. We distribute the violets featured here directly to retailers across the USA such as Lowe's, Home-Depot, K-Mart, True Value, Harris-Teeter, Safeway, Kroger, Armstrong, Whole Foods, Price Chopper, Fresh Market, Pike Nursery, Calloway Nursery, and many local nurseries and florists. Find a store near you - use our Retail Finder Here. Call first, as some stores only carry violets seasonally. Visit our plant diagnosis tool!